Year 3 have been learning about ‘length’ in maths lessons. They measured the perimeter of the playground using metre rulers and measured their own hands using string, with measurements ranging from 73cm to 80cm! 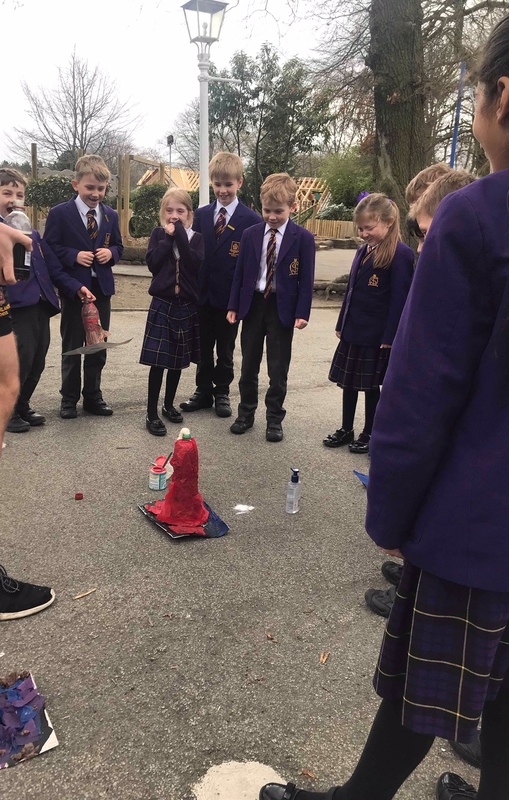 Year 3 have also designed their own volcanoes using plastic bottles and paper tissue and had the pleasure of erupting them on Thursday, using vinegar and baking soda.